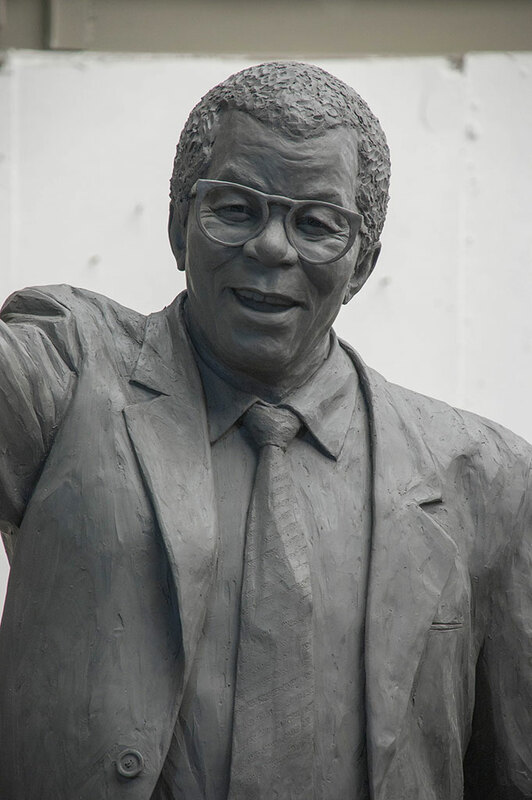 When researching the individuals for this sculpture, I was immediately struck on how, when searching for either Walter or Albertina Sisulu, I would always find reference to the other. I became increasingly drawn to the idea of representing them as a couple – not inseparable – but stronger for being together. 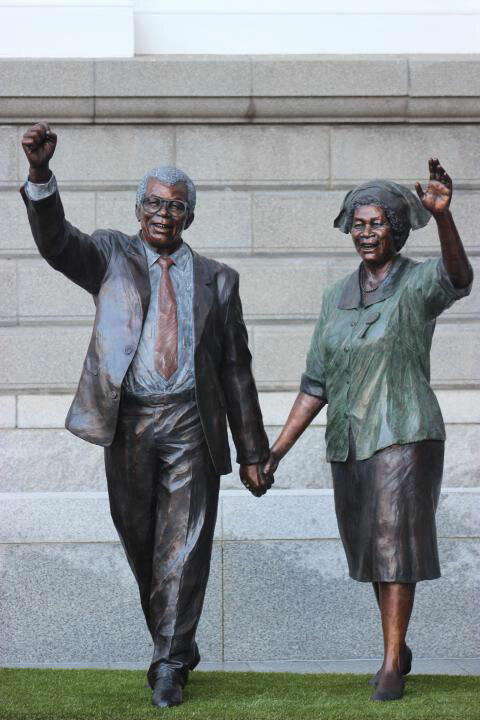 As individuals Walter and Albertina Sisulu’s contribution to the struggle for equality and freedom in South Africa goes without saying. In addition, their obvious commitment, respect and love for each other as partners emphasizes all the qualities that have contributed to their role in “Parenting a Nation”. 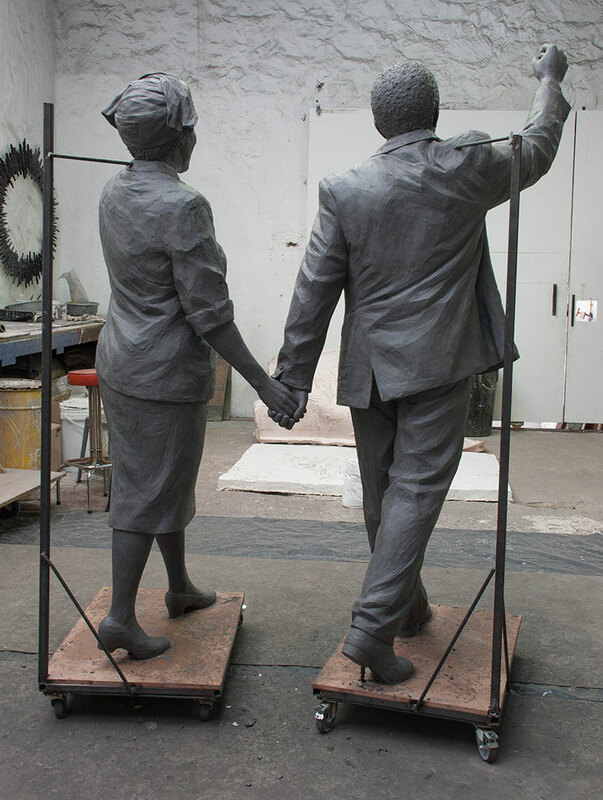 I wanted my sculpture to show not only the personal character and strength of each individually – but by depicting them walking side by side, engaged with each other – also to highlight the remarkable qualities of their relationship that can stand as a role model to all. 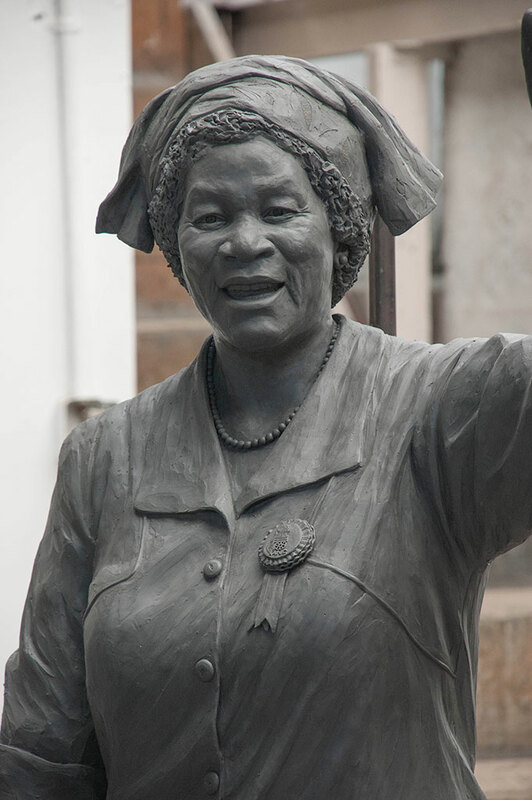 The figures were first displayed at Parliament buildings in Cape Town for SONA 2015. 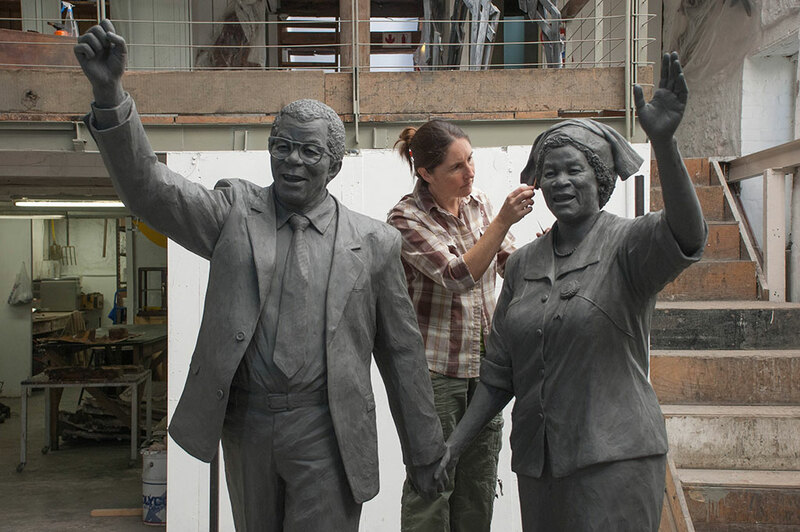 They now form part of the National Heritage Monument’s “Long March to Freedom” at the Maropeng Visitor Centre, Cradle of Humankind. 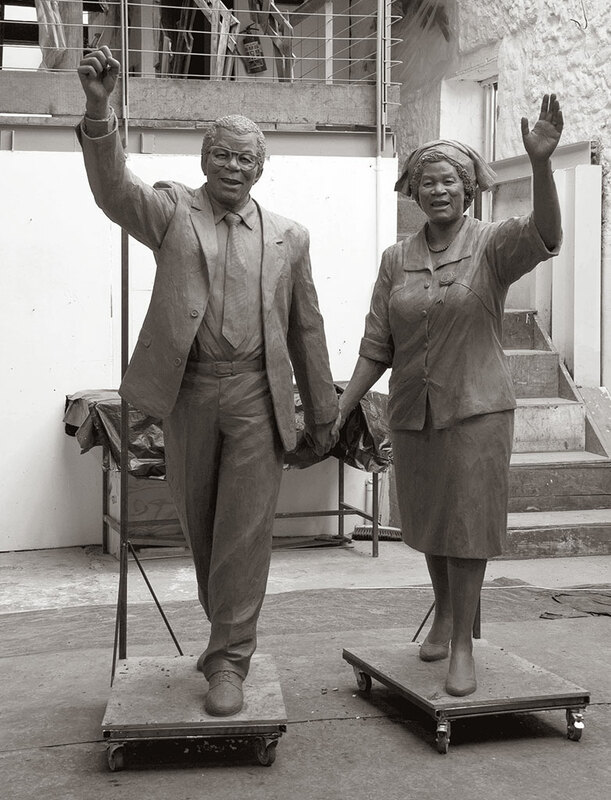 This is an installation that will eventually see an outdoor procession of more than 400 life-size bronze figures of specific individuals depicting all eras and epochs of South Africa’s history entitled.